Studies indicate that drinking coffee in moderation may actually reduce risk of some cancers. People buying coffee in California might notice soon something new when they order coffee. It’s not a cool new logo on their cups, but a cancer warning, a ruling proposed by a judge in Los Angeles. Does this mean it’s time to fear the daily brew? Not so fast, say scientists. So far, the evidence connecting coffee to cancer is murky. “We have not seen any link that shows an increase of cancer from coffee,” Bender said. And, it's important to remember the ruling isn't related to recent data about coffee and cancer. "It wasn’t based on new scientific data," Dr. Dale Shepard, a medical oncologist at the Cleveland Clinic told TODAY. "This was a judicial decision and not a medical study." While there are many studies looking at coffee and its relationship to cancer, it's "inconclusive," said Bender. This lack of evidence led to the World Health Organization removing coffee from its list of carcinogens in 2016. The organization could not determine that coffee was safe — or not. The California proposed ruling focuses on acrylamide, a carcinogen, which occurs as part of the roasting process. It's produced when foods are prepared at high heat, including roasting, deep frying and grilling. The Council for Education and Research on Toxins sued to force coffee makers to remove acrylamide from their beverages or post a warning on their products. But coffee companies said removing acrylamide would ruin coffee's flavor. Los Angeles Superior Court Judge Elihu Berle said that Starbucks and the 90 other co-defendants in the case failed to show that coffee doesn't cause cancer. "Defendants failed to satisfy their burden of proving ... that consumption of coffee confers a benefit to human health,” Berle wrote in the ruling. While Shepard said that studies show that lab animals exposed to high levels of acrylamide develop cancer, there's no similar research in humans. “There have been no links established between acrylamide and cancer risk for people,” Bender said. Even the U.S. Food Drug Administration says people can still consume acrylamide, Shepard added. 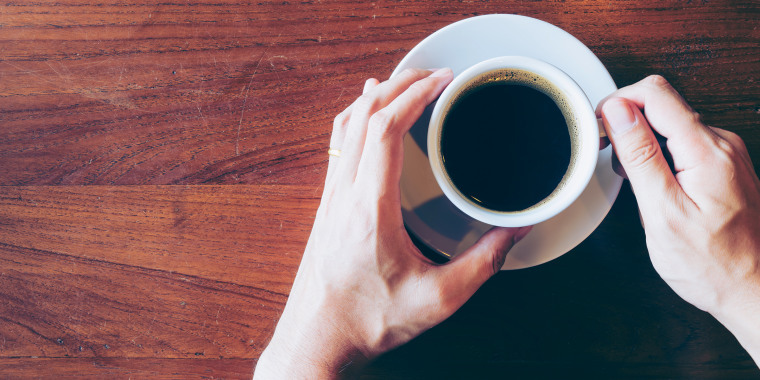 When it comes to cancer, several recent studies have shown that coffee drinking helps. A meta-analysis of 127 studies showed that coffee consumption likely reduces the risk of prostate, breast, colorectal, colon and endometrial cancers. "They came up with coffee having a beneficial effect," Shepard said. And the AICR said research indicates coffee decreases the chance of getting two cancers. “We have strong evidence showing that drinking coffee actually lower risks for two types of cancer, liver and endometrial," Bender said. “Enjoy coffee in moderation,” Bender said.